Thanks to Out-of-Print Archive for scanning Super Play. Also thanks to ShiryuGL for pointing out the board game, and Andrew Fisher for informing about the PC versions. 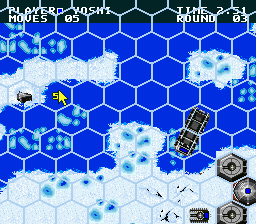 Super Full Metal Planet is an early SNES game by Infogrames. It is based off a French board came called Full Métal Planète. It is a turn based strategy game, where the goal is to collect as many ore fragments as possible and stave off rival companies. There is a preview of the game in December 1992 issue of Super Play, making a note of its development in France. 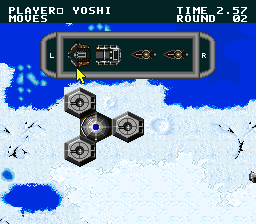 In the article, the game has the title "Super Full Metal Planet", while in the prototype it is titled "Super Full Metal". This suggests that the leaked prototype is still a work in progress, and they likely fixed the title after the the leak happened. It took me a while to figure out exactly what I was supposed to do, since there is obviously no manual. You have units called "crabs" as well as container boats that can be used to collect the ore fragments, which you have to bring back to your base. It is not immediately intuitive, but you have to use the base to "grab" the boat or crab units in order to save the ore. There is also a more advanced crab unit that can be used to construct additional offensive units like tanks. You are supposed to be able to use tanks and ships to capture or attack other units, but I don't think the option to do this has been programmed in yet. At any rate, it is better to spend your time collecting ores than to attack the other base. 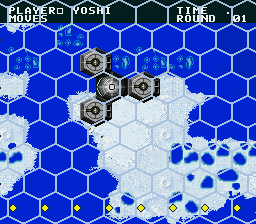 Each player gets a certain amount of movements per turn, and the units are restricted to a hexagon based grid. The water level fluctuates, which is something to keep in mind so you don't strand your units. At the end of the match, the player with the most ore and units saved in the base ship before you leave the planet wins. 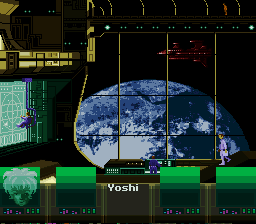 Up to four players can play, so presumably more than one player can leave the planet. I would expect the average match to take well over an hour. There are penalties in the game, but it is not clear exactly what causes them. 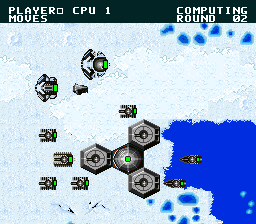 In one player mode, the loading times for the CPU are unbearably long, taking between 30 and 60 seconds. I can understand the need for a good artificial intelligence in a strategy game, but this just leads to boredom. The excruciating amount of time between moves means that this game is not really worth playing. If you have friends over, it is probably better to break out a real board game. 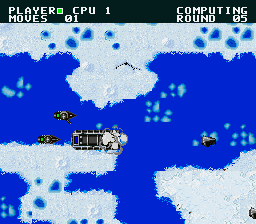 A conversion of this game was also made for various computer systems in 1989/1990 with the title Full Metal Planete. The graphics are somewhat nicer in the computer games, but otherwise it looks like it is pretty much the same game. 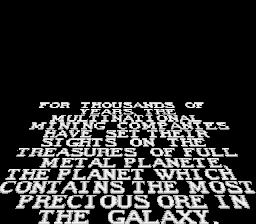 A ROM image for Super Full Metal Planet was leaked out by a scene group in September 28, 1992. The release notes seem to imply an earlier bad dump was released before (or perhaps an overdump). No credits were given in the release archive, but in some other documents on releases, a group called XRAT might have been associated with it. I think it is unlikely that this game has been hacked. This is the correct file size version of Fullmetal. 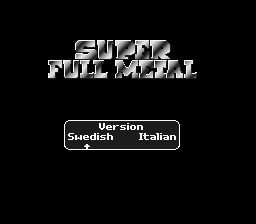 One notable thing about the prototype is that the in-game language select only offers Italian and Swedish. Looking through the binary, there is text for other languages: English, German and French. Obviously this game was targeted for a Europe-wide release. Note also that the internal header is not set correctly. It should have a mapping that includes 16k of RAM (like SHVC-1A1M-01) and likely should be set to PAL mode. Language select - only Swedish and Italian are available in this prototype The Star Wars style story scroll is still in English, with the word "Planete" spelled like the original board game. The character select screen, probably the most impressive part of the game. You start the match by placing your base ship on the playing area. Not always easy to see where there is a legal spot.